OSHA regulations 29CFR 1910.178(l) requires that all operators are evaluated in their work place. Some companies (offsite facilities) leave that part of the training for you to complete. We don’t. We do all evaluations at your facility. Some companies charge extra for hands on training and evaluating operators with little or no experience because it requires more time, we don’t. Some companies charge extra for training and evaluations on multiple lifts because it requires more time, we don’t. At Safety First we do all the training and evaluating because that’s our job. There are no hidden or extra charges. We do have a minimum charge of $195. So if you have 1 individual the charge is $195. Maximum class size depends on the experience level of the group and or the size of your conference room or lunch room for the theory part of the training. Call me with questions. The Theory or classroom part of the training takes approximately 2.5 to 3.5 hours to complete. The time will vary depending on the type of lift, experience level of the group and number of students participating. Hands on training and evaluating for experienced operators takes approximately 15-20 minutes per operator per type or class of lift truck. Only one operator at a time. Time required for beginners varies greatly depending on the individuals back ground. Training is available Monday through Friday with flexible start times for your convenience. 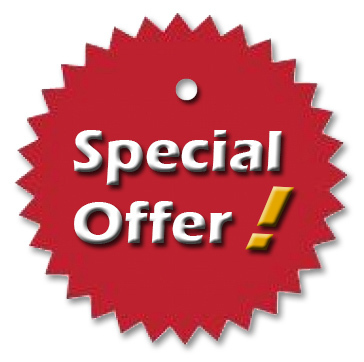 Weekend and evening classes are available with an additional fee. Simply decide what works best for you and we’ll do our best to accommodate you. This is a training program designed for in house instructors. OSHA requires that all training be conducted by persons who have the knowledge, training, and experience to train powered industrial truck operators and evaluate their competence. This program is provided at your facility for your convenience. 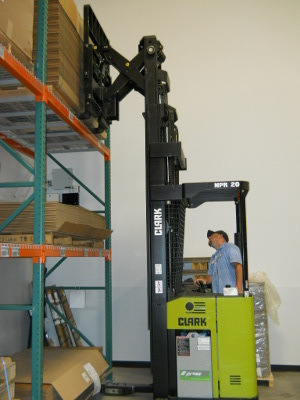 The course is a full day of training for one type of lift truck. The student will receive the necessary training to provide him/her with the knowledge to train and evaluate others. The student will receive along with the training, the necessary tools to do the job professionally. Included materials ; instructors manual, OSHA regulations, inspection forms, attendance forms, evaluation forms, theory tests and operator training DVD for one class of lift truck. The student will receive free technical support after the program is completed.